No one mentioned Supreme Commander! At least Planetary Annihilation will be for Linux though, if it is any good. I logged in to say the same, how did that title get missed, Supreme Commander on Linux FTW!!! Very much looking forward to Planetary Annihilation too. Warhammer would be nice to have on Linux too. "The sale and filing are necessary next steps to complete THQ's transformation and position the company for the future, as we remain confident in our existing pipeline of games, the strength of our studios and THQ's deep bench of talent," THQ CEO Brian Farrell said. "We are grateful to our outstanding team of employees, partners and suppliers who have worked with us through this transition. We are pleased to have attracted a strong financial partner for our business, and we hope to complete the sale swiftly to make the process as seamless as possible." The main pitfall of doing any "cost/benefit analysis" on Linux gaming is that most studios look at the short-term, "here and now" numbers and judge it from there. But there are a lot of intangibles that come with bringing your game to a free and open platform with a bunch of technologists and social media magnates just hungering for your games. If you just look at it in terms of immediate profits, most games based heavily on Windows-only technologies are not worth the cost. Supporting Linux has to be a long-term strategy for the company, and it has to involve going "all in" on the Linux platform: supporting it as the premiere platform for all of your titles, and driving adoption of the platform by way of your games. A lot of developers are rightfully fed up with the lack of flexibility and tyrannical behavior of Microsoft, and would benefit hugely from using a free and open operating system with no strings attached. But all they're willing to do is run "market studies" to determine the approximate number of people currently on that platform who are willing to buy their games, so almost always those calculations come up short. They're just taking the wrong approach. You can't just bring a game to Linux as casually as you might add PS3 support to a PC/Xbox game, because on well-established platforms you can just drop the game into retail stores and the profit will come with minimal effort on your part. Most companies don't want to build a platform user base simultaneously with porting games to that platform. Valve is the thought leader in that space among game developers. Others need to follow in order for the movement to succeed, though, and put a forceful end to the notion that you have to keep Windows around to play games. These market studies are actually telling the vast majority of developers the truth. Moving a single game to linux isn't likely to result in any changes in the number of people who buy games on the platform. However, when you sit down and decide you want to build a platform and an eco system long term, and you are incontrol of a large enough base of software to do it, then the rules are probably different to you. When THQ sit down and think about porting their games to linux, one of the first things in their mind should be the fact valve is behind the platform and is releasing a console within the next year. I'd say being an early adopter and basically having their games as launch titles is probably a good idea. Theres also the fact that steam is a big deal in PC gaming and it's probably the cheapest mass-market way to publish your game. 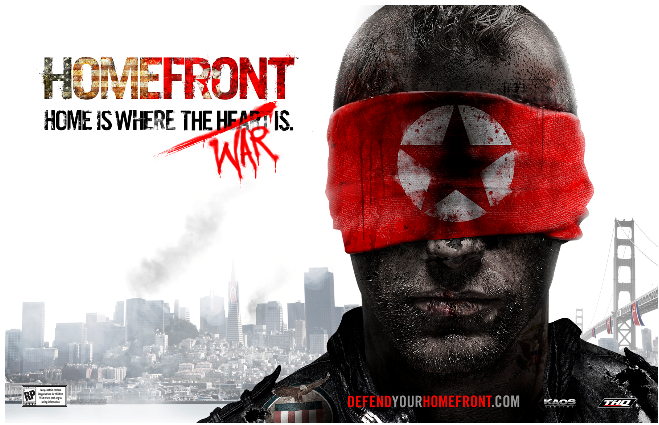 Modern Warfare 3 copied alot from Home Front's multiplayer. Drones namely. The vehicular KOMBAT is superb. I mean driving a Humvee around and poping up into the 50cal then back to the drivers seat to run over enemies is something I haven't seen since Battlefield 2. I had fun with this title. The chopper flying is wild. Seriously the game sold well i think. Funny thing is walking into Target and seeing Modern Warefare 3 discounted to like 20$ on black friday. They can't seem to sell the games. Then you read the press and they've sold 8 billion copies of the newest Call of Duty. What's going on here? Windows 8 sales are dismal but Microsoft states they've sold millions. To who? The stores? Not consumers. With these game companies jumping ship something is coming down the pipe from Microsoft. If you gonna make it to LINUX and CHARGE for it for already owners...well, measures have to be taken...I WILL BUY IT AGAIN. Period. THAT's how much i like AND love that game. ...and DON'T FORGET TO MAKE THE VERSION FOR LINUX OF COMPANY OF HEROES 2. So far as a Linux port helping them out... it won't. Big AAA studios fail because they make $100,000,000 games, which in turn requires millions of sales _just to break even_. If even one or two of those games does not do well, they're out ridiculous sums of money. If those flops happen all in a row in a short time span, that can easily put the company into bankruptcy. THQ had such a few missteps in recent years. If the preponderance of Windows and XBox gamers did not make up enough sales to make those games profitable, it is utter insanity to think that the Linux gaming market is going to make up the difference on its own. Still, when a company is trying anything to survive, they'll... well, they'll try anything to survive. Including dumping a bit of cash into a port in the hopes it at least makes enough profit to slightly offset bankruptcy... maybe offset it just enough that they can stay in business long enough to get another hit game out on the market, and let the Windows/XBox gamers numbers of sales push them back into profitability. Point being, Linux releases now may just be a last-ditch effort to survive, not any indication that they will care in the least about such a small market if/when they return to profitability and are making 95+% of their sales from users of Windows and the proprietary consoles. While I agree that porting games to Linux won't exactly save them from bankruptcy, I don't see it as "utter insanity". I really doubt that THQ is going to bank on the Linux or OSX market to save them from their financial troubles. It's more likely that the volume of feedback they've gotten from the THQ Bundle has just made Jason Rubin re-evaluate THQ's stance on the market for the platform. It's a good step that they're even considering it (and I hope Valve contact them about the potential 'Steam Box' or their much-Phoronix-hyped Linux plans to help push the cost/benefit analysis in favour of doing so). It's strange - I have this idea from some of your previous posts that you're a game dev of some sort (too busy to look through your post history - I'm at work). Why do you seem to have a negative view when it comes to games being available cross-platform? If a game engine is developed from the start with the intention of being cross-platform, or even if an existing engine is made cross-platform with the intention of being re-used for multiple games, then I'd think it's unlikely to be a monetary burden on a company and instead will _make_ money. It may make a fraction of money compared to their target console & Windows market, but it'd still be profitable. Wouldn't you agree? If I get Titan Quest and Supreme Commander I'd pay $100 for them, then I would have no reason to look enviously at my Windows disks. Supreme Commander is not owned by THQ. They'd likely have to go through the current owners of the franchise, and may also need approval of the owners of the tech (GPG). THQ does have some great games though, not sure why people think they haven't done anything recently. Saint's Row is quite popular, Darksiders did okay, Dawn of War (especially the second one) is a very popular and well-done RTS, Company of Heroes was a groundbreaking and popular series, the Red Faction games have been quite popular, and let's not forget the Metro 2033 series which has done very well. It's clear their failure to make any kid oriented games that kids actually wanted to play and their move to ramp up production of udraw after it sold over a million units was their undoing.